Dr. Mirchin is first and foremost a gentle and caring dentist. His years of experience allow him to provide the best, most comfortable care you have ever known. As a third generation dentist (his father and grandfather were dentists, too!) Dr. Mirchin embodies a life-long comittment to professional excellence and family care. We will soon be celebrating one hundred years of scientific dentistry in the Mirchin family. Dr. Mirchin is a graduate of The George Washington University, and The Howard University College of Dentistry. He graduated with honors and then completed a post-doctoral, general practice residency in a New York University-affiliated hospital. In his second year at The David Minkin Rehabilatative Institute, he was an instructor. Throughout his career, he has maintained an on-going commitment to continuing education, passing his knowledge on to less experienced dentists. He is an early fellow of The Academy of Esthetic (cosmetic) Dentistry. 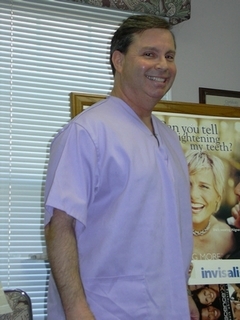 His organizational affiliations have included The American Dental Association, The Southern Maryland State Dental Association, Doctors Organization for Conscious Sedation (DOCS), Organization for Sterility and Asepsis Procedures, The Potomac Valley Study Dental Study Club (Past President,) and he is the co-founder of the Cental County Dental Study Club, and Alpha Omega Dental Fraternity. In an effort to make his dentistry as comfortable as possible for his patients, Dr. Mirchin has been trained, and is a member of DOCS, (Doctors Organization for Conscious Sedation.) Additionally, he did a rotation in anesthesiology during his post-doc residency. This enables his patients to have a truly worry-free and comfortable experience during their treatment. Some people call this "sleep dentistry." Dr Mirchin's family includes his wonderful wife and business partner, Kimberly; a son Robert , a daughter-in-law Katherine, and his terrific and loving patients. We invite you to place your dental care in the hands of a dentist you can trust. Dr. Mirchin not only has the skills and experience to provide the best and most modern care, but he also cares about your dental health and comfort as much as you do. Because Dr. Mirchin is an expert cosmetic and general dentist, every family member will be able to get the dentistry they need or want. Dr. Mirchin emphasizes the aesthetics (the looks) of your dental care in everything he does, because he knows that when you look good, you feel good.